With this recipe you can now have rice pudding for breakfast. It's creamy and filling, and a little bit sweet. 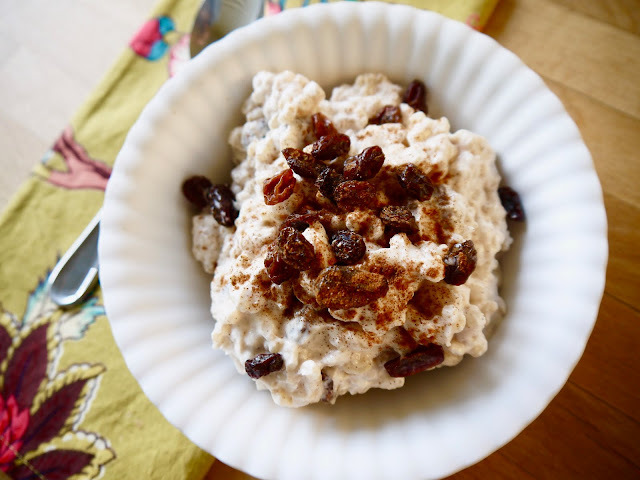 The combination of high fiber brown rice, raisins, and high protein Greek yogurt will keep you fuller longer! It's a great way to use up those brown rice leftovers from your healthy dinner the night before. Combine all ingredients in a bowl. Cover and refrigerate overnight. In the morning, stir and serve!